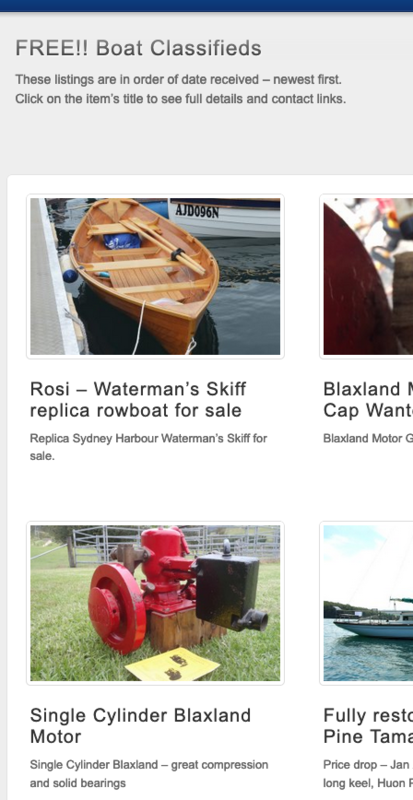 Narooma BoatsAfloat Inc is a group of people with an interest in enjoying and celebrating Traditional Boats in all their varied forms – from clinkers and putt-putts to launches and cruisers and yachts. In spring every year since 2006 a weekend festival is held on and around the pristine waters and colourful boatsheds of Wagonga Inlet in Narooma on the NSW south coast. ENTRY IS FREE!! and is open to any traditional style boat – Putt Putts, Steam, Sail, Rowing and Kayaks. Each year we provide a relaxed program of boating activities on the crystal clear waters of Wagonga Inlet in scenic Narooma on the NSW South Coast. This website provides a record of some of the past festivals as well as information for the public and for boaties on any upcoming festival. 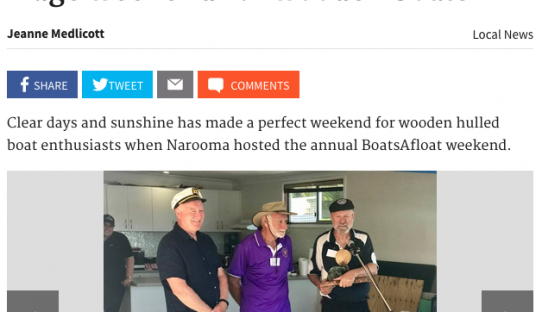 The Narooma News has once again compiled a stack of pictures of our Festival. Click the image to go to the page. 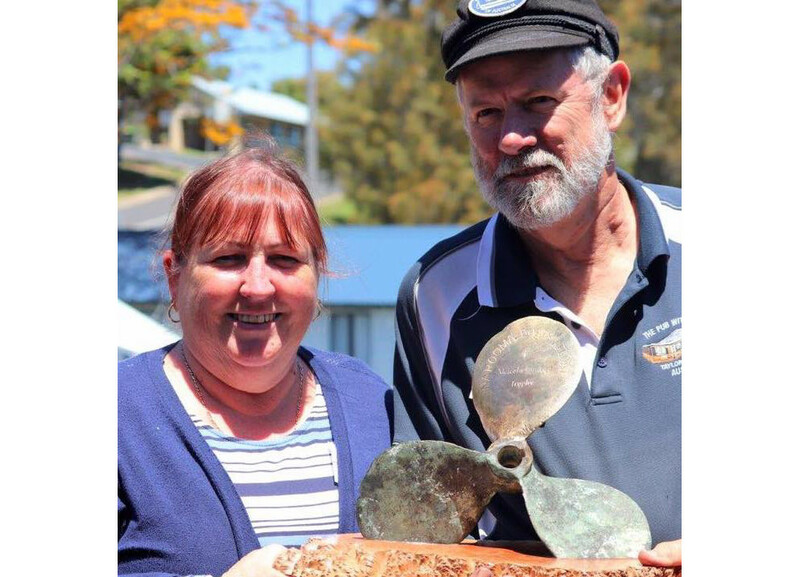 The inaugural 2018 Malcolm McKay Perpetual Trophy Best Boat Award went to the ‘Leslie H Lance’, a steamboat, owned by Terry and Jan Lance. Our 13th Festival featured over 50 boats, great food, wonderful camaraderie and lots of boating opportunities in wonderful sunny and calm weather. 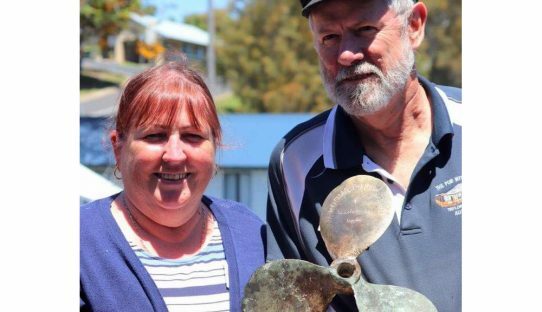 In honour of a BoatsAfloat founder and legendary local boatie, the Most Desirable Boat Award and perpetual trophy was named The Malcolm McKay Perpetual Trophy Best Boat Award, and judged by a panel of participants over the weekend, with the winner being Terry and Jan Lance for their steam launch ‘Leslie H Lance ‘. Friday night around 100 people gathered for a bbq and briefing and raffle prizes, and delicious burgers cooked on the kindly donated Marine Rescue bbq trailer. Saturday morning saw the fleet cruise, sail, paddle, or row to Paradise Point for a delicious morning tea prepared by Mr Bold Catering Co. Returning to Forsters Bay local band Jazz Alley entertained at the Narooma Maria, Montague Arts and Crafts held a marine-themed exhibition in a boat shed, and the public came in droves to have a good stickybeak at the boats. Saturday night’s dinner went down well with a spit roast, veges and salads provided by the CWA ladies, and a delicious cake made by Zoe from Central Tilba. The auction raised around $1000 to be used for next year’s festival. 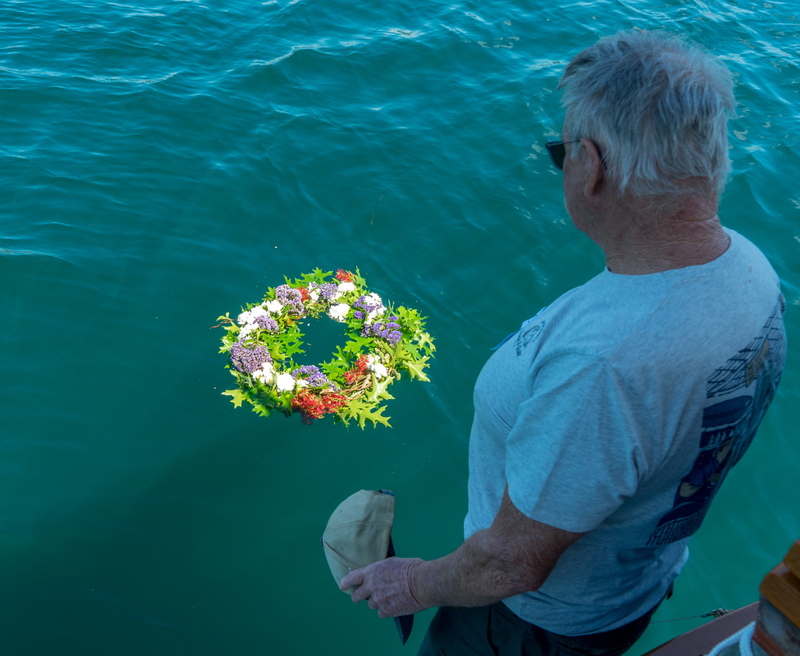 Sunday morning and the Grand Parade was followed by a moving Armistice Day ceremony on Wagonga Inlet, with Peter Flynn piping Amazing Grace and a wreath laying on the water. 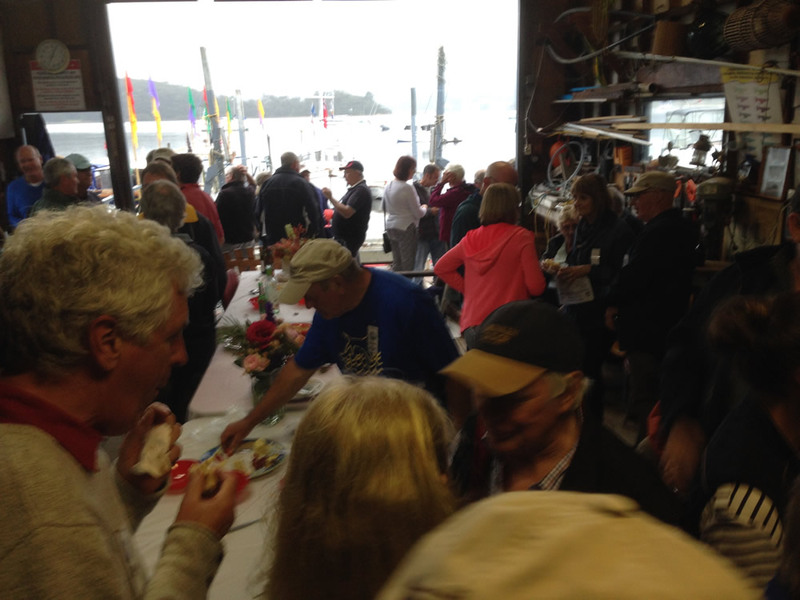 The traditional closing lunch and speeches back at Narooma Marina wrapped up a great weekend. For pics visit our Gallery page. Check out our classifieds for some bargains! Entry forms and details in due course.